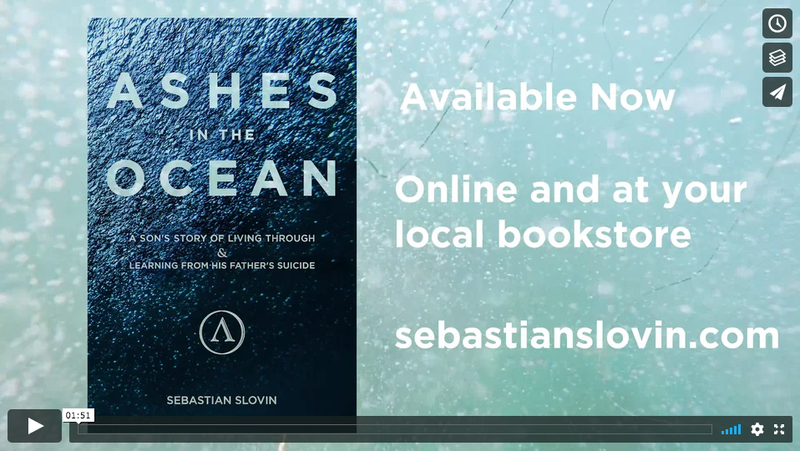 In this podcast I interview Sebastian Slovin, author of “Ashes in the Ocean: A Son’s Story of Living though and Learning from his Father’s suicide. We touch upon themes of survival, stigma and safe space and how he was able to grow up in the shadow of suicide and piece together a narrative and a life worth living. Sebastian shares to other men, “Not feeling does not work” in the grief healing journey. He talks openly and honestly about how peer and professional support — even spiritual connections — can make a big difference in letting men know they are not alone in their bereavement by suicide. As a young boy, Sebastian Slovin lost his father to suicide, which would deeply inspire his path in life. Later, he had the opportunity to travel extensively as a professional bodyboarder. He holds a BA in Environmental Policy from San Diego State University and an MA in Leadership Studies from the University of San Diego. Sebastian’s recent memoir, Ashes in the Ocean, is about living through and learning from his father’s suicide. Since releasing his book Sebastian has been sharing his story to a wide range of audiences. He has also been featured on a variety of media including National Public Radio, Fox 5 News, the San Diego Union Tribune, and numerous podcasts. Please, feel free to share this graphic widely. All we ask is that you link back to this podcast.